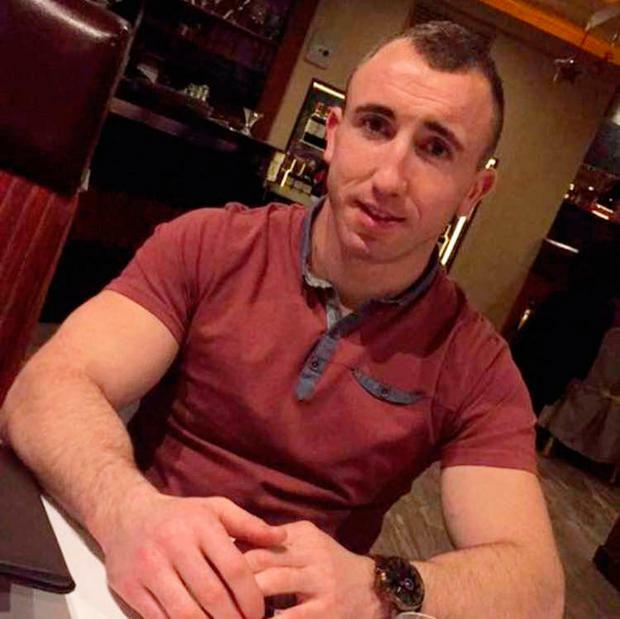 A 21-year old Co Clare man told a detective sergeant "sorry, I didn’t mean to do it" when charged today with the murder of father-of-one, Karl Haugh (25). At Ennis District Court today, Robbie Walsh of Island View, Kilrush was charged with the murder of Mr Haugh at the Marian Estate in Kilkee on August 6. Mr Walsh has been in custody since August 6 in connection with being charged with the assault causing serious harm to Mr Haugh contrary to Section 4 of the Non-Fatal Offences Against the Person Act 1997 on the same date. That charge was today struck out in favour of the murder charge. Giving evidence of arrest, charge and caution, Det Sgt Padraig Frawley told the court that Mr Walsh replied "sorry, I didn’t mean to do it,” when charged. In the early hours of August 6 last at the Marian Estate, Mr Haugh sustained a single stab wound to the back and was brought by ambulance to Limerick University Hospital where he was pronounced dead at 6am. A post mortem was carried out by Dr Michael Curtis and the initial report indicated that Mr Haugh’s death was a result of a stab wound to his back - to the left of the spine that punctured his left lung. As part of their investigation, gardai recovered a knife handle and a blade at the scene of Mr Haugh’s death and the blade had blood on it. Today in court, Karl Haugh’s mother, Bridget was present in court for the first time concerning her son's death and a large group of the victim’s friends were also in court for the brief hearing. Karl Haugh was the second child of the Haughs to die in tragic circumstances and in August, he was buried alongside his 16-year-old sister, Stacey at Leiden cemetery outside Kilkee. Eleven year old Karl in October 2003 was only given a 20 per cent chance of living and underwent heart surgery in a crash that claimed the life of Stacey and her friend and neighbour, Lorna Mahoney (13). Earlier this year, Karl became a father for the first time to baby Evelyn. A Garda liaison officer was in place today to advise Ms Haugh of the various stages of the legal process now that a murder charge has been laid against Mr Walsh. Insp Tom Kennedy said that as the charge is one of murder, a bail application couldn’t be made before the district court. Gardai will now compile a Book of Evidence in the case that will go forward to the Central Criminal Court. Solicitor for Mr Walsh, Patrick Moylan said that a bail application will be made before the High Court for his client. Mr Moylan said that a bail application on the assault charge in the district court was previously unsuccessful. Judge Patrick Durcan remanded Mr Walsh in custody to appear via video link before court next Wednesday, October 25.